Increasingly popular with both bosses and employees, the term “employee experience” is inspired by that of “user experience” (or UX) which has become a key element of IT and mobile application development. The purpose of enhancing employee experience is to simplify processes, increase value and make work situations more pleasant, as explained by coach David Boon. Once this is done, employees can reach the sought-after state of flow. Flow is a state of fulfilment and maximum concentration that occurs when a person is entirely immersed in an activity in which they are engaged. This state can be experienced in both professional and personal life. By its very nature, flow is a natural engine which drives optimal performance. It comes primarily from a sense of wellbeing in one's environment and a sense of meaning in the work to be done. The feeling of meaning, fulfilment and challenge is what can therefore activate flow. Several criteria can trigger this state. Flow is composed of several criteria, which together influence the quality of your work life. It is the result of all the efforts taken by you and your employer to make you feel comfortable in your professional environment and thus create an optimal employee experience. Both employer and employee can influence the level to which they feel there is a match between individual and company goals. This is what puts an employee into the state of flow and creates an optimal employee experience. If you are experiencing flow, your employee experience is excellent. The times when employers called the shots and had all the decision-making power when choosing an employee are long gone. Today's professionals are skilled in presenting themselves and creative in using technology to draw the attention of the employers they are interested in. Assertive self-promotion is a natural instinct for millennials and Generation Z, who grew up with tools like Instagram and Facebook Live, and this trend is spreading throughout more senior talent too. Commitment will always come from a natural attachment to a company and is built on trust. It's about far more than the salary offered. For your commitment to be high, you need to feel that a company is committed to you too. Its working conditions and culture must reflect this and be designed to create a pleasant environment that promotes creativity and communication. If you’re given tasks adapted to your own abilities, you can optimise your work and highlight your skills. This is crucial, as it is beneficial both for you and your employer. Being able to create a sense of efficiency and importance in your work encourages commitment to the company. It's not just the salary that should motivate you! It’s also about trust, empowerment, communication and the establishment of a harmonious social relationship. Working conditions and a sense of meaning and recognition promote natural motivation to work for a company. To feel good in a company, you need to be comfortable. If your company cares about your wellbeing and creates positive relations within the hierarchy, it is taking care of you. It’s also clearly interested in the added value of the human side and the working environment. Working conditions are always linked to the surrounding environment and the comfort it offers (such as relaxation areas, the presence of a company pet, communication space, transparency between employees and management...). Attachment to a company is built as a result of the involvement it has in employees’ wellbeing. If you’re happy in your work, this is a plus for the company because it means you will perform better, be more creative and come up with new ideas to help evolve the company. If a company improves its working conditions and promotes transparency and communication within the hierarchy, your involvement and commitment to it will grow. An environment that is conducive to creativity increases commitment and attachment to the company and wellbeing at work tenfold. When creativity is encouraged, this is always beneficial to the company and also means more freedom for you. Creativity requires dedicated areas for communication and interaction between employees, decoration in the workspace, the possibility to sit or stand (for example on a yoga ball, in a hammock or on a pouffe) and a participative management style that encourages brainstorming. It’s clear that an optimal employee experience can be achieved through modernisation of the workplace, comfort and creativity and a better quality of working life. If all of these are present, you will be able to enjoy the state of flow and identify companies which care and offer opportunities for you to achieve flow, meaning you can work at your very best. This is beneficial both to you and your employer. 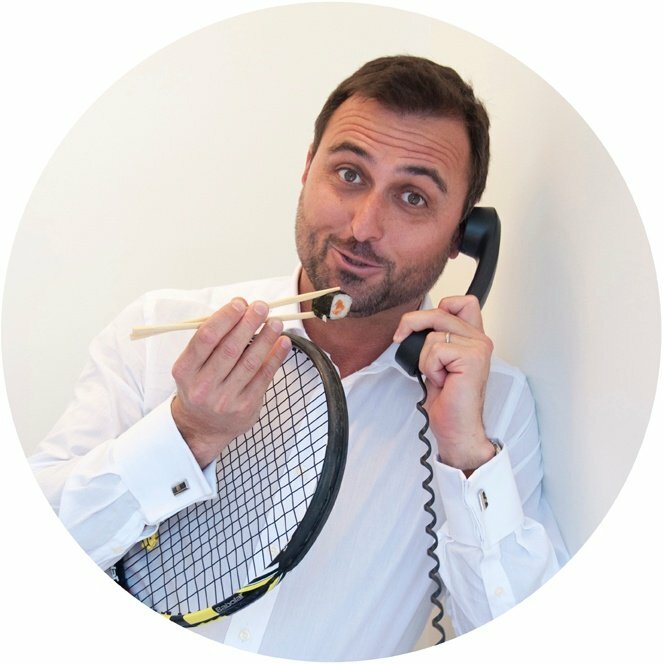 Alban is a notorious multi-tasker and a pioneer in using digital technologies to reinvent today’s recruitment. Big believer in employer branding as a tool to match top talent with the right employers. Privately a dad of two and a passionate mountain biker.